XYP-60/70/100 carrousel-splitting foam machine adopts the advanced imported controlled techniques drive. 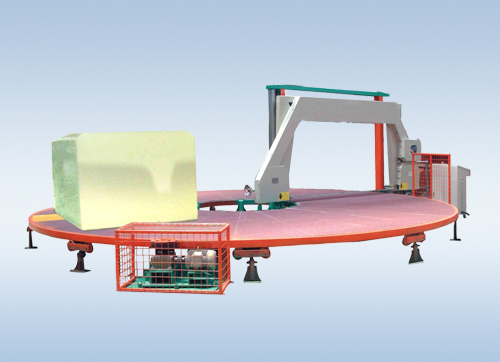 This machine is mostly used for much quadrate foam once flatly slicing. It can be cut continuously, which makes the productivity more efficiency. Besides, we succeed to develop a latest and huge carrousel splitting machine, which is a big diameter 10.5m in China. It can be cutting the bigger quadrate foam in W2.15XL14.5m continuously. Total power 8.12kw 8.92klw 10.52kw.